Boxer Property has announced its agreement to manage and lease commercial office space at the 73,344 SF property located in Irving, TX. 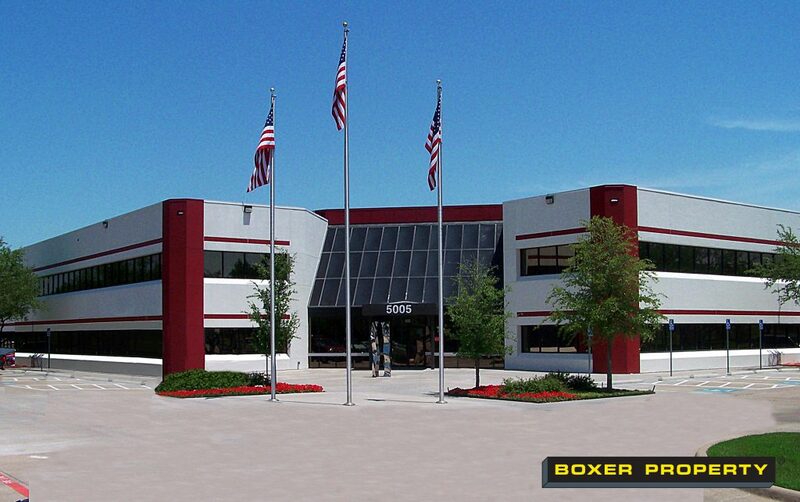 July 16, 2018 (DALLAS, TX) – Houston-based commercial real estate firm, Boxer Property, announced its agreement to return to management and leasing at 5005 W Royal Lane in Irving, TX. This property offers 17,817 square feet of available office space. Building amenities include internet-ready suites, a quiet outdoor courtyard, and ample surface parking. 5005 W Royal Lane is conveniently located just two blocks from the entrance of Hwy. 114, approximately five minutes away from I-635, and is easily accessible to DFW International Airport and several nearby dining options.